By using the Website, you represent and warrant that you are at least 18 years of age. If you are a user under 18 years of age, you confirm to have obtained your parent’s or legal guardian’s permission to use the Website. 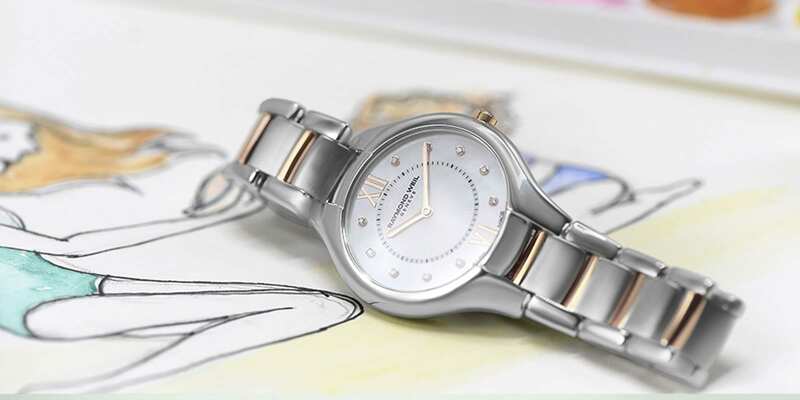 RAYMOND WEIL uses your personal information in particular to provide the information, products, and services you requested, to improve the Website content and functionality, to better understand its customers and markets, to improve its marketing and promotional efforts, to carry out our obligations arising from any contracts entered into between you and us. In this context, RAYMOND WEIL may use your personal data, for instance, to send you via email offers or to ask you questions in relation to the brand, its products or services. You can refuse to receive such emails at any time by clicking the unsubscribe link at the bottom of each email sent; except for emails related to online orders for our products via http://france.raymond-weil.com. RAYMOND WEIL reserves the right to collect and store non-personally identifiable information that is automatically recorded when you visit our Website, such as your internet protocol (IP) address, URL, browser information and the name of the domain and host from which you access the Website, traffic information and your use of the Website. This non-personally identifiable information is used to analyze and improve the Website and to optimize your Website experience. WHEN DO WE SHARE YOUR PERSONAL INFORMATION WITH THIRD PARTIES? RAYMOND WEIL reserves the right to share your personal information collected on the Website with its subsidiaries, from time to time with third parties anywhere in the world acting on its behalf (as necessary to carry out their mission), or wishing to use your personal information as part of marketing operations in relation to RAYMOND WEIL activities to offer you information about our products, points of sales or boutiques openings and events. Besides, RAYMOND WEIL may be obliged to share your personal information with third parties in particular by virtue of a legal provision or decision made by a court, to protect your interests or its interests and in particular in the event of a sale, merging, restructuring, liquidation or any other similar circumstance. According to Swiss law, you have the right to request at any time corrections or deletions of any information about you stored in our database. You can exercise this right at any time by sending us a written request via our contact form. As part of our ongoing commitment to GDPR compliance, you have a number of rights with regards to your personal information. The following is designed so that you will be informed about the processing of your personal data. You have the right, in some circumstances, to have your personal data removed. Contact us at [email protected] with your request and providing there is no lawful basis for the request, we will make all reasonable effort to comply. Where your consent is solely our legal basis for processing your data you can request a copy, transfer or moving of the data in a machine-readable form such as a CSV file. This can be supplied to you or another provider at your request. Requests should be sent to [email protected] and if technically possible we will take all reasonable steps to fulfill your request. Where your consent is solely our legal basis for processing your data you can request a copy, transfer or moving of the data in a machine-readable form such as a CSV file. This can be supplied to you or another provider at your request. We are required under the GDPR to notify you without undue delay of any data breach which is likely to result in a high risk to your rights and freedoms.